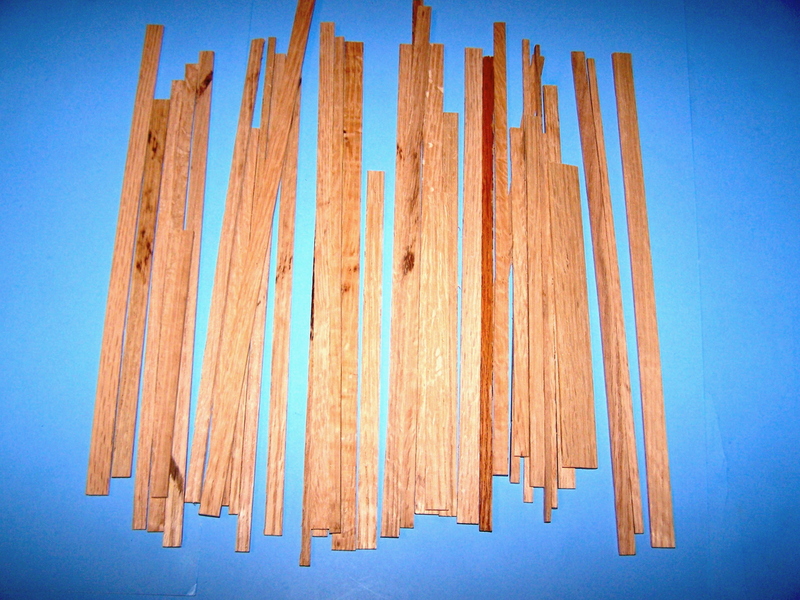 Bundle of oak planking for trailer or truck body floors etc. By Scale Truck Detail Studios. Sizes may vary, 1/16"-1/8" thick, 1/4"-11/16" wide,5 3/8"-minimum 16" long. 14pieces in a bundle.